Many cloud providers do not allow mining on their computers since these are mostly distributed systems so they aren’t happy when some user is using a resource at full power all the time. So, once they find out that someone is mining on their hardware they usually shut these servers down or even close accounts (rarely, but it can happen!) 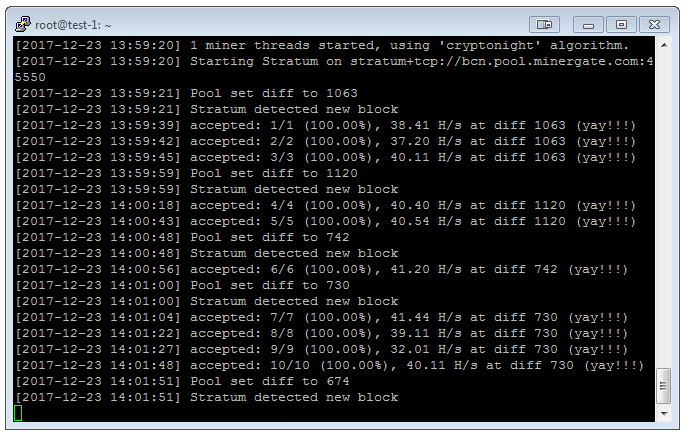 Finding that someone is using their hardware for mining is also quite easy since the CPU will be running at 100% all the time. So it will stand out from normal usage that’s probably nowhere close to that. 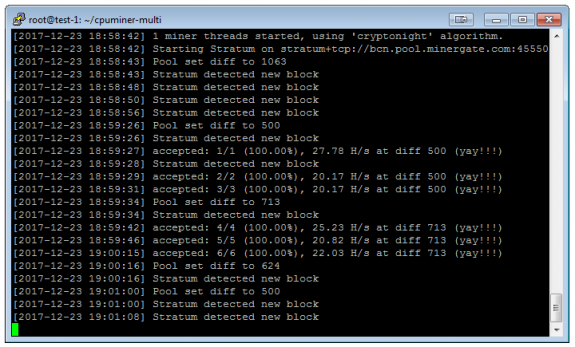 Also, mining Bitcoins with CPU today is not even theoretically possible now so don’t waste your time with that. On the other side there are some alternative crypto currencies that are made to be mined only with CPU and most of these use cryptonote algorithm. If you’re going to be mining with the CPU – then simply mine these. Currently, Bytecoin, Monero and Dashcoin are the most popular. For the purpose of this post I’ll use Bytecoin (BCN). This will download all required software and start with the CPU mining process. The pool used is MinerGate so if you want to take credit for the mining just register your account there and replace your email with mine in the code above. Who can benefit from this: probably no one but it was fun. Disclamer: Use this information at your own risk. I haven’t used this longer than one or two hours just for testing and for writing this article. Advice: If you want to mine in cloud simply buy a mining contract from a reputable company such as Genesis Mining or HashFlare. The miner I used in my original post is no longer available at GitHub, so I have updated this post to use pre-compiled Minergate CLI miner that works and is easy to use.